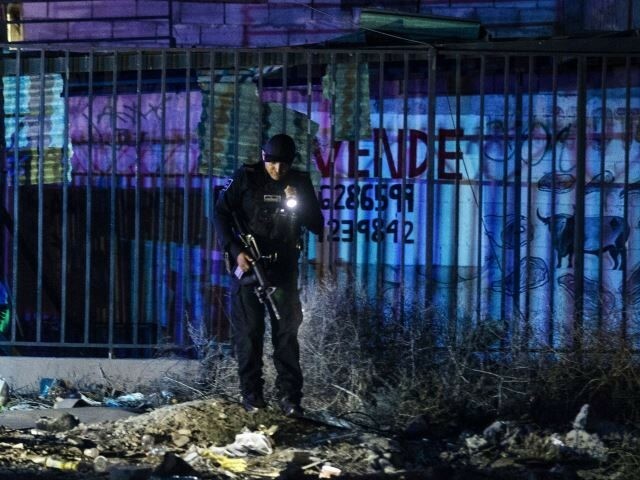 Cartel-related drug violence continues in the border city of Tijuana with 21 killings registered in less than a 48-hour period. Those deaths include three bodies abandoned in a burning vehicle. The killings began just after midnight on Wednesday when firefighters received a call about an abandoned vehicle burning on a dirt road in colonia Cañón del Padre. After firefighters extinguished the flames, they discovered the badly burned corpse of an unknown victim in the back seat. Upon opening the trunk, they then discovered two more badly burned bodies, according to local media reports. At 4:25 p.m. on Wednesday, officials called crime scene investigators from the State Attorney General’s office to colonia Francisco Zarco where the badly decomposed body of an unknown male victim was located. The body displayed signs of being exposed to fire. A few hours later, police were called to colonia El Rubí where gunmen shot a male identified as Gerardo Daniel Pérez to death inside an auto shop. At approximately 11:41 p.m., a male identified as Javier Tapia Medina was murdered by gunfire outside his home in colonia Buena Vista. Just after midnight on Thursday morning, residents in colonia Camino Verde reported the discovery of an abandoned black plastic drum containing a package in a plastic bag. The bag was later determined to contain the corpse of a female murder victim accompanied by a threatening narco-message on a piece of cardboard. At 1:47 a.m., officials located the body of an unknown male murder victim at the intersection of the Rosarito-Tijuana Transpeninsular highway, in colonia La Gloria. According to investigators, the victim, who had sustained multiple gunshot wounds, was wrapped in a blanket bound with tape. About two hours later, an unidentified male of approximately 25, was killed by multiple gunshot wounds in colonia ejido Francisco Villa. At 06:05 a.m., investigators of the State Attorney General’s Office (PGJE) were summoned to the rural area of Lázaro Cárdenas ejido, where police discovered three unidentified murder victims displaying signs of trauma. Several hours later at approximately 10:30 a.m., officials found another unknown male murder victim at the edge of the Camino al Vergel bridge. The decomposed body displayed signs of violence. At 2:30 p.m., police reported a triple homicide where they discovered two unidentified males and an unidentified female in colonia Mariano Matamoros. The three victims sustained multiple gunshot wounds. Thirty minutes later, citizens reported the discovery of a human jaw and arm which had been abandoned on a public roadway in colonia Lomas de San Antonio. Investigators could not locate the rest of the body. In the next few hours before midnight, officials discovered four additional homicide victims in multiple locations throughout the city. This brought the total number of those murdered to 21. A study released in March by the Citizen Council for Public Safety and Criminal Justice (El Consejo Ciudadano para la Seguridad Pública y la Justicia Penal) listed Tijuana as the deadliest city in the world per capita, based on its 2018 registered homicide count. The bloodshed is generally related to turf wars involving Cártel Tijuana Nueva Generación (CTNG), aligned with El Cártel de Jalisco Nueva Generación, against the Sinaloa Cartel. Robert Arce is a retired Phoenix Police detective with extensive experience working Mexican organized crime and street gangs. Arce has worked in the Balkans, Iraq, Haiti, and recently completed a three-year assignment in Monterrey, Mexico, working out of the Consulate for the United States Department of State, International Narcotics and Law Enforcement Program, where he was the Regional Program Manager for Northeast Mexico (Coahuila, Tamaulipas, Nuevo Leon, Durango, San Luis Potosi, Zacatecas.) You can follow him on Twitter. He can be reached at robertrarce@gmail.com.